Ringo Madlingozi (left) with the EFF's top 3 in June, 2018. If the party matches or betters their last election performance, the ‘Sondela’ hitmaker will end up in parliament. 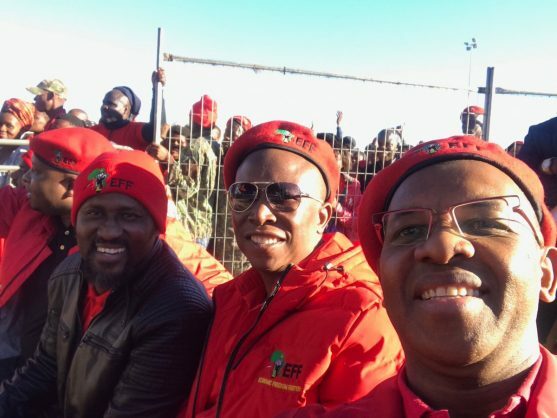 The singer has been outspoken in his support for the party for several years, appearing at an Africa Day celebration hosted by the party last year, after which he declared the EFF to be his political home on Twitter. “When I was young, I used to cry when I would meet poorer people than me. I never knew there were people who truly would love, protect, and fight for the downtrodden. “Now I’m fearlessly at home with @EFFSouthAfrica. Let’s unite and change our lives, SA. We live once,” he tweeted. When I was young, I used to cry when I would meet poorer people than me. I never knew that there were people who truly would love, protect and would fight for the https://t.co/wLp3dOncPr I’m fearlessly home with @EFFSouthAfrica. Let’s unite and change our lives SA. We live once. This is, however, the first time he has officially entered the ring as a politician. At number 39 on the list, this means Madlingozi will end up in parliament if the EFF either match or better their performance in the last national elections. In 2014, the party achieved 6.35% at the polls, or 1,169,259 votes. Polls so far are estimating that the party may almost double their achievements in 2014 this year, with one released recently by the Institute for Race Relations (IRR) putting them at 12.2% nationally. 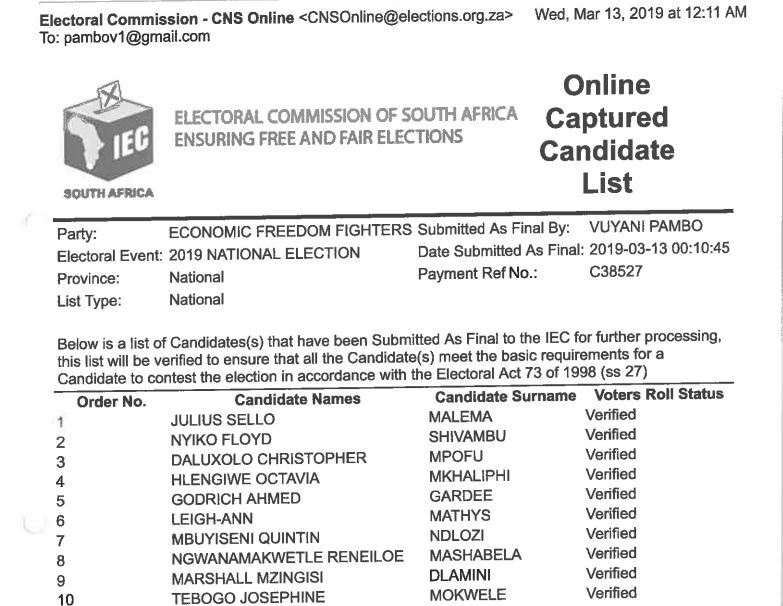 Madlingozi’s appearance on the list is arguably the biggest surprise, with leader Julius Malema, his second-in-command Floyd Shivambu, and the party’s national chairperson Dali Mpofu occupying the top three positions, as expected. Another surprise is that national spokesperson Dr Mbuyiseni Ndlozi, undoubtedly one of the party’s most prominent and visible members, sits at number seven on the list, rather than at number four as some may have expected. Deputy Secretary-General Hlengiwe Mkhaliphi (formerly known as Hlengiwe Hlophe-Maxon), general secretary Godrich Gardee, and treasurer general Leigh-Ann Mathys occupy the fourth, fifth and sixth spots, with Ndlozi afterwards.